With an increasing number of online orders being fulfilled through the internet daily, it is significant that the quality of the shipment methods is enhanced and updated to their best. Only by this can you attract more potential customers and bring more benefits to them as well as to your own business. It is well-known that most online retailers consider flat rate shipping as an incentive to buyers since it can deliver a wide range of packages and charge every customer the same amount shipping regardless of size or weight. Additionally, flat rate itself has diverse options, along with priority services for the customers when it comes to the maximum weight of a particular item. What could even be better than this? You might have had this question in mind sometimes. Save your worries because Landofcoder is here to represent to you Magento 2 Multiple Flat Rate Shipping. 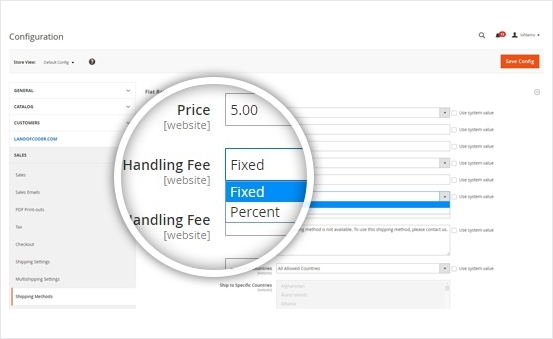 This is an extension which offers you multiple flat rate approaches based on various prices and conditions, namely price, product types, country of delivery or handling fees, etc. 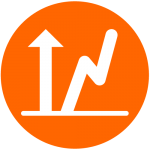 It is evident that there is currently only one flat rate shipping method available in Magento. 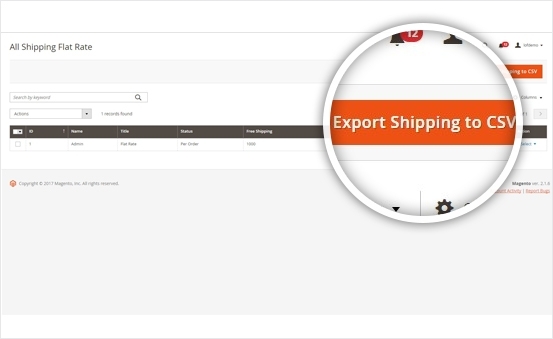 Therefore, thanks to this extension, you are able to add multiple flat rate shipping for your products and orders. 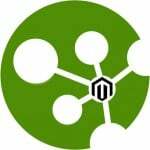 Our Magento 2 Multiple Flat Rate Shipping makes it easier for customers to use and everything can be easily configured in backend itself. There is no need in worrying about your available options. 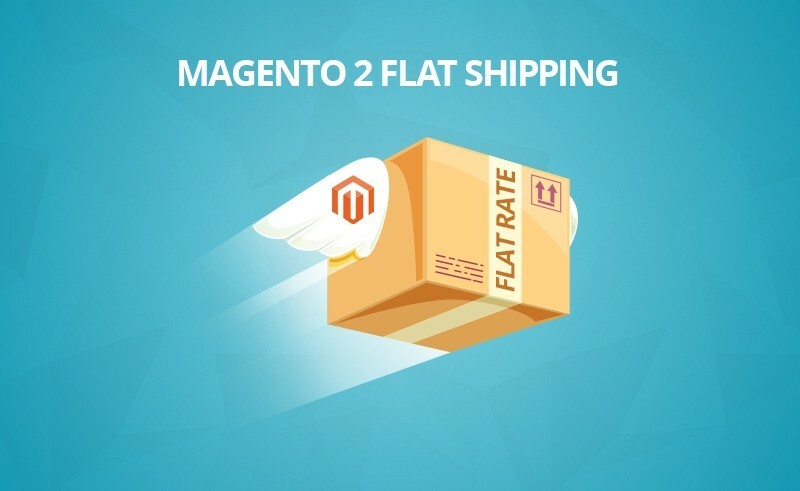 Using Magento 2 Multiple Flat Rate Shipping helps you to be well-equipped so that you can add unlimited flat rate shipping options for your customers in a much faster and easier way. One way to draw more attention from customers is to increase the scale of buyers worldwide. 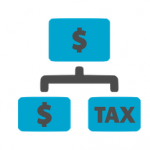 Imposing flat rate shipping fee flexibly according to a number of various regions and countries allows you to gain more satisfied and happy customers across the world. Another utility of Magento 2 Multiple Flat Rate Shipping is that it helps you to set particular flat rate shipping fee according to the numbers of products. Apart from increasing the potential purchasing power of customers, it can also assure the profits to be gain from your business. It is not an exaggeration to say that the speed of your work is just as important as any other factor. 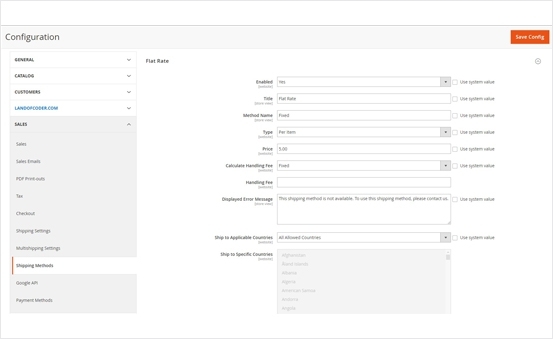 Magento 2 Multiple Flat Rate Shipping makes it absolutely practical for you to increase the pace of your work by exerting multiple flat rate shipping, regardless of how many product types you have when uploading just a single CSV file. 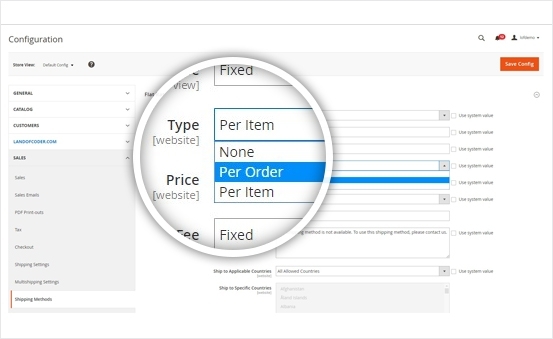 This utility allows customers to be more specific and precise when it comes to the price of either the item or the order itself. In fact, the total price of order and conditions decides the offer of flat rate shipping alternatives. 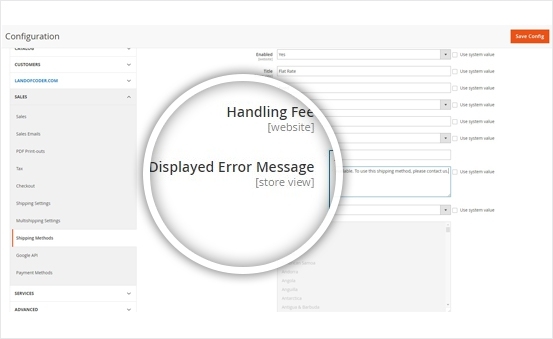 It is possible and customary for you to insert your own error messages to every single flat rate shipping option which are unavailable for specific orders. It is totally up to you to apply whenever you want. 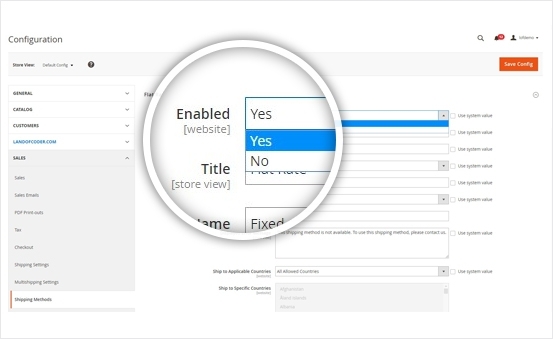 It won’t take you longer than a minute because only a few simple clicks of “Yes” or “no” can already help you to enable as well as to disable flat rate shipping methods. There are absolutely no challenges at all when it comes to setting things up as the system is expected to work exactly the way you want. 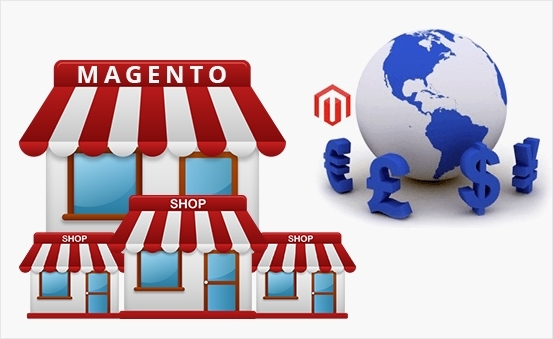 No special skills are required to work around with our Magento 2 Multiple Flat Rate Shipping. Once you and the customers experience it, you will know. All your needs will be met in order to make the most of our flat rate shipping methods to your marketplace store. 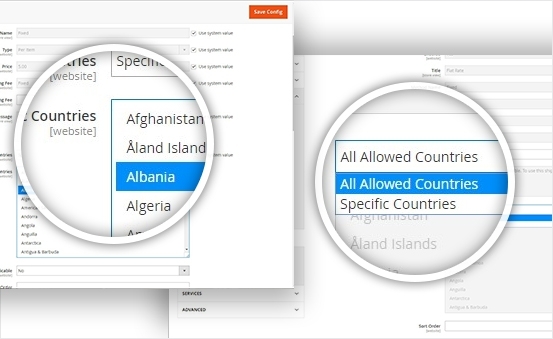 It is available for Magento Multi-Store full support and Multiple Currencies as well. 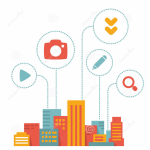 It’s all up to you in terms of which store views or websites flat rate shipping methods are applied.